When was the last time you visited a doctor’s office and were cheerfully greeted by name? Spent less than 5 minutes in a waiting area? Offered a refreshment? Assisted to a seat, exam room, or walked out? We can’t remember either. That’s why Renuva staff and doctors are dedicated to providing white-glove service to each patient, every day.“We want to be the most recognized brand for pain relief, but do it non-invasively. We put the care back into health,” said Amber Lowery, Renuva Corporate Trainer. Renuva has become known for its CoreCare treatment protocol, which is a scientific approach that applies leading-edge technologies and methods in a way that’s both methodical and proven to be effective. Their compassionate staff and doctors will take you through very specific phases of treatment that truly treat the root cause of your discomfort. Their goal is to determine the cause of your pain, promote natural healing, and get you back to the active life you’re now missing. With four locations throughout the country and a fifth opening in August, Renuva customers are typically baby boomers in chronic pain, and a typical service will cost from a few hundred to $5,000. Because the cost of service falls outside of the typical American’s savings (which is generally less than $1,000), offering financing to patients is important to Renuva. Renuva has worked with CareCredit for a number of years, but has struggled in fitting its procedures neatly into CareCredit’s financing requirements. 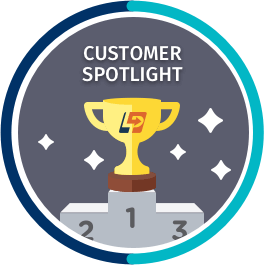 Renuva started working with LoanHero (now LendingPoint Merchant Solutions) early in 2016 because they offer risk-based pricing to patients, are able to approve up to 90% of applications (and up to $15,000 per procedure), and are able to offer terms as long as 60 months and pricing as low as 12.99% APR, thanks to a partnership they formed with Quorum Federal Credit Union. And just recently, Renuva upgraded lasers in every practice, which take half the time for therapy at three times the power. Innovation is key to the leadership at Renuva, and is imperative for the financing partner they choose as well. Since 2006, LaserAway has been driven by customer satisfaction and treatment results, and has expanded its hair and tattoo laser removals services to include body contouring & skin rejuvenation. LaserAway is the fastest growing company in the industry because of one simple reason: they’ve mastered the science of smooth skin. With the majority of their facilities located along the west coast, LaserAway serves a wide variety of clients, ranging from celebrity to blue-collar. On average, a new client spends $1300 on their first service, and 50% require financing. While LaserAway has been happy to seek out financing options for their clients, they have had to work with 5-6 different lenders to get approvals for everyone. LaserAway has grown their partnership with LoanHero to 34 stores in the past 18 months, expects to have 100 stores within 5 years, and fully intends to incorporate LendingPoint Merchant Solutions financing into that growth plan. AAMCO Transmissions and Total Car Care is one of the most trusted and recognized “automotive” brands in the country. That’s because for more than 50 years AAMCO has built a legacy of trust and expertise. With more than 650 locally owned and independent service centers, AAMCO employs the latest technology and the expert technicians who will diagnose your repair, fix it right the first time, and back it with a nationwide warranty. That’s why AAMCO has become one of the most trusted name in transmissions and is one of the fastest growing names in total car care. With services ranging from transmission care to to mutli-point brake inspection to radiator and cooling system maintenance, AAMCO realizes that car owners aren’t always planning for their vehicle to need a significant repair. The AAMCO partnership was the first national partnership the company secured following the announcement of its national rollout. Are You Our Next Success Story? Signup And Find Out For Free.